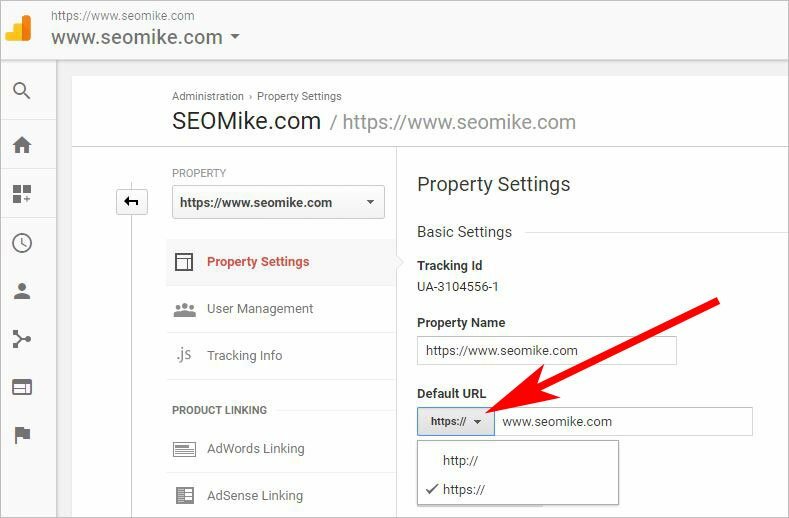 If you’re moving your site to https to avoid Google’s unsecure site warning, you’ll need to change your Google Analytics to https as well. Making the switch is easy. 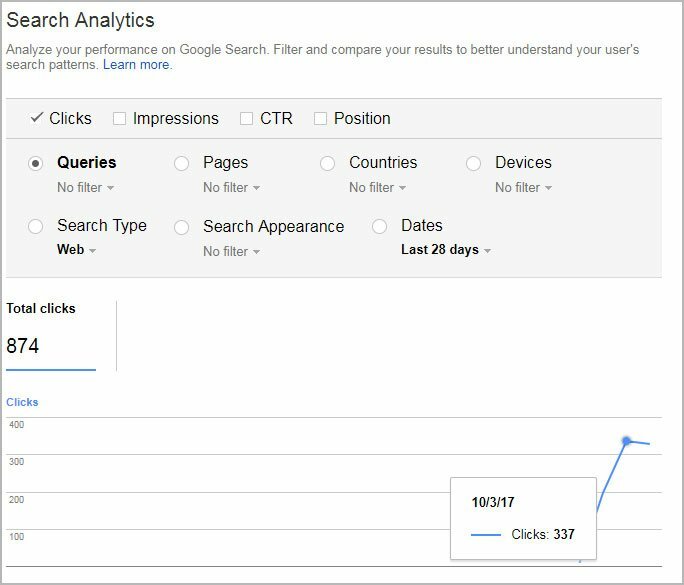 Log in to your Analytics account, click the gear or “Admin” in the bottom left of your screen and under “Administration” click “Property Settings”. You’ll be taken to a section of the site that allows you to switch your account from http to https. This isn’t completely necessary for tracking data, but probably reduces the chances that traffic is misrecorded as Direct instead of attributed to the proper category. Watch out for a spike in Direct traffic after making the switch, as it could be a sign that your http to https redirect isn’t working properly. 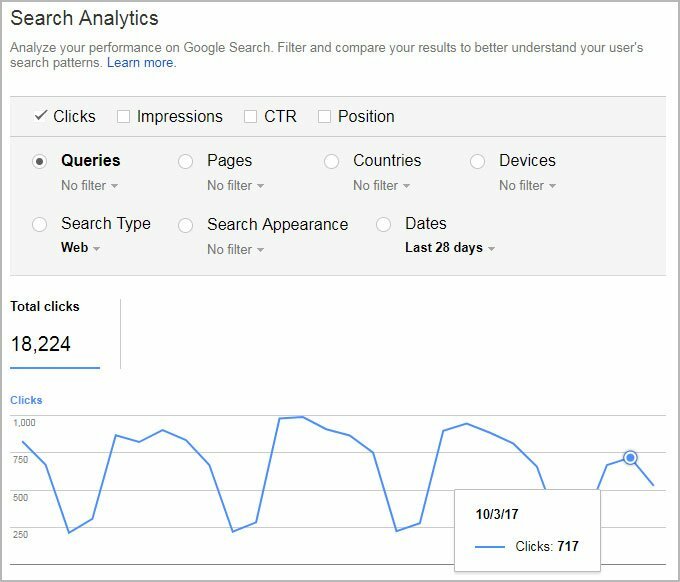 Unlike Google Analytics, Google Search Console (GSC) will not continue to record your data when you switch to https. GSC traffic will tank and the information reported will no longer be accurate. You’ll need to add and verify a new Property for https to see that data. Don’t get rid of your http view because it can show you if there is still some http traffic being recorded. Check it every now and then to be sure there isn’t a huge spike in http traffic that could indicate a problem with your redirect or certificate implementation. Keep in mind that it can take a while for traffic to shift from your http to https property. When switching from http to https you’ll see that http slowly trails off as traffic is recorded in https. Below is an example of one client’s traffic transitioning to https. The https switch was instant, but Google isn’t. This client implemented https around 10/1. Note the drop in traffic that is not 100%. This is the client’s https property. Note that the clicks reported here make up for the reduction in the http property.